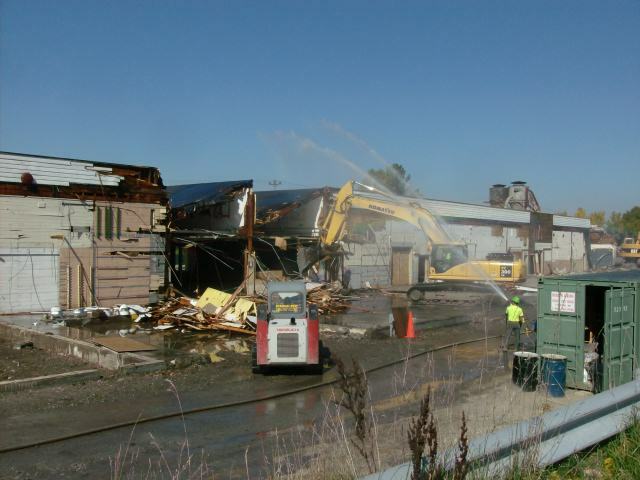 NRC performed the decontamination and demolition of a former manufacturing facility in St. Albans, Vermont as part of a Brownfield Clean-up Program. This multidisciplinary project included the work of several trade lines. Shortly after mobilization, NRC installed over 2,300 linear feet of chain link fence around the entire site. An additional 1,100 linear feet of permanent chain-link fence was then installed surrounding designated PCB contaminated locations. NRC installed the onsite vehicle decontamination pads, waste staging areas, and a temporary water treatment system. NRC performed the complete abatement of asbestos containing materials from within the 118,000 square foot facility and two out buildings. Concurrently, other NRC crews performed the consolidation, profiling, packaging, transportation and disposal of multiple universal and hazardous wastes including PCB oil-filled transformers and PCB-impacted soil. Next, in preparation for demolition, NRC performed the removal and modifications of existing municipal sewer and water services followed by the complete removal of the building structure down to the floor slab. 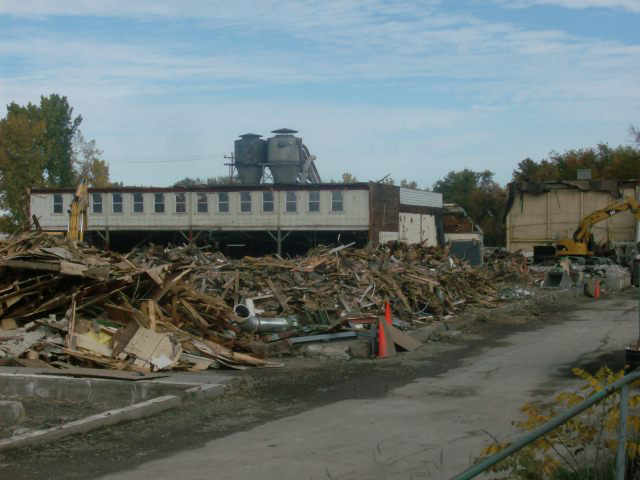 The demolition included the recycling of approximately 600 tons of structural and scrap metal, PCB remediation, transportation and disposal per TSCA regulations, landfill disposal of 1,200 tons of construction debris and a concrete crushing operation for aggregate reuse. PCB contaminated soils and PCB oil filled transformers. 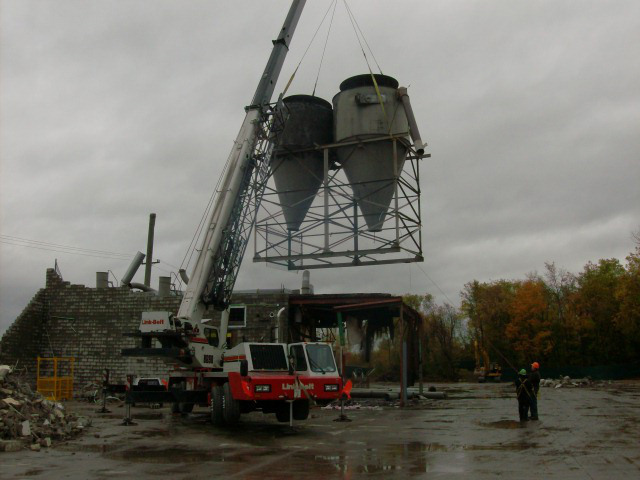 Asbestos abatement for 118,000sf facility and buildings. Removal and modification of municipal sewer and water services. 600 tons of recyclable structural and scrap metals.